About Us - D.C. Thomson & Co. Ltd.
DC Thomson is a private company and one of the leading media organisations in the UK. It is headquartered in Dundee, Scotland, with a London base in the world-famous Fleet Street. The company publishes newspapers, magazines and has diversified into new media, digital technology, retail and television interests. The DC Thomson Group includes global genealogy company Findmypast, leading IT business services provider Brightsolid, premium gifting business Wild & Wolf, multimedia studio Beano Studios and, alongside DC Thomson Media, magazine publishers Puzzler Media and Shortlist Media. DC Thomson Ventures is the venture capital arm of the company. DC Thomson is an established family enterprise that has origins in the entrepreneurship of William Thomson in the early 19th century when the firm’s main business was in shipping. During the mid-19th Century, the Thomson family invested in publishing, taking an interest in the Dundee Courier and buying it in 1886. At that stage there were two major publishing houses in Dundee, the other was run by Sir John Leng. In 1905, the Thomson and Leng firms merged under the leadership of William Thomson’s son David Couper (D.C.) Thomson. Throughout the course of the 20th Century, DC Thomson became one of the UK’s leading publishers. The diversification of the business today highlights the entrepreneurial flair of the firm. 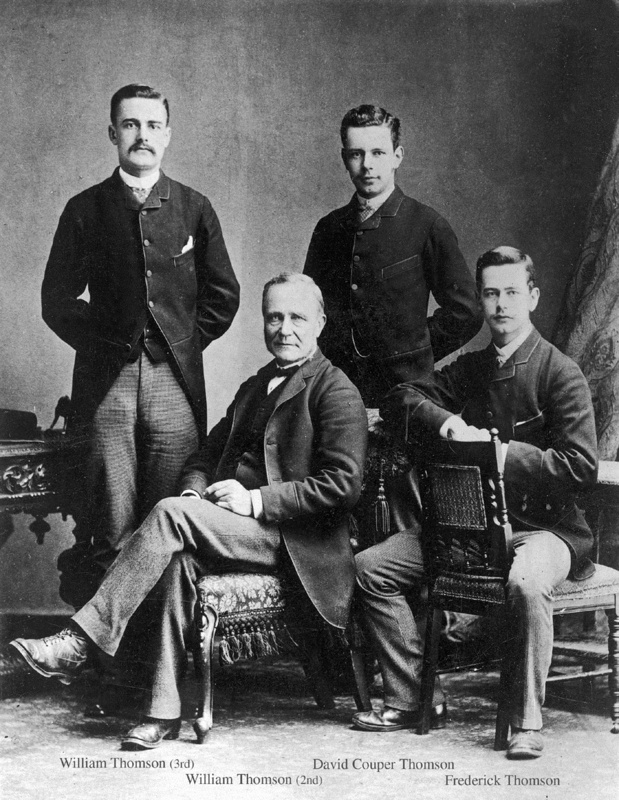 The company currently has four directors, Andrew F Thomson, Christopher HW Thomson, David Thomson and Richard Hall, all of whom are descendants of the founder. Other members of the Thomson family continue to work within the business.